Cover by Neal Adams. "The Head of Hate! 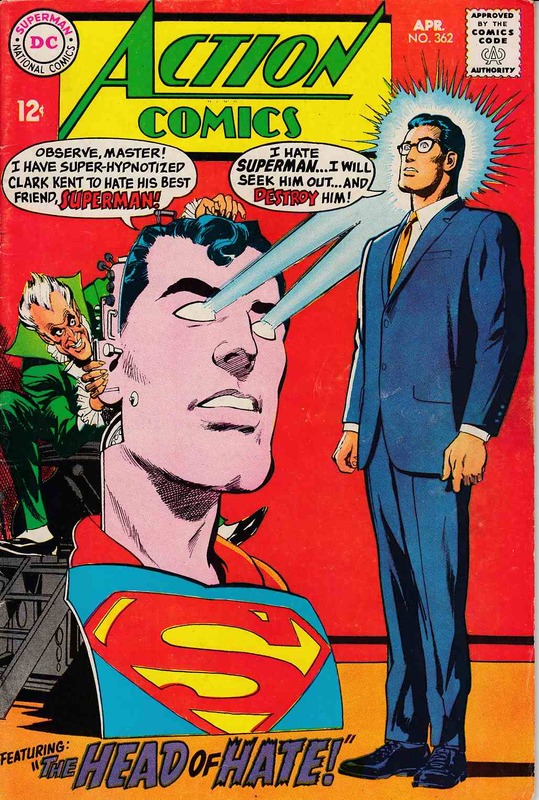 ", script by Leo Dorfman, pencils by Ross Andru, inks by Mike Esposito; The insane Ventor Caine uses components from a Superman robot to build a super-hypnosis machine, which he uses on Clark Kent to induce him to kill Superman. "The 40th Century Outlaw! ", script by Otto Binder, art by Kurt Schaffenberger; Linda Danvers is invited to participate in a student exchange program with the Stanhope College of the 40th century, but it's a trick to lure Supergirl to the future, where she is apparently considered to be a criminal. *Grading Notes: centerfold detached at bottom staple.